Everyone knew Cory Dollarhide could shoot the lights out with the basketball from beyond the arc. No on expected him to be one of the leaders as a freshman that rolled deep into the state playoffs(elite 8) and put up a 25-7 record. Averaging 10.5 ppg shooting a red hot 42.3% beyond the arc and 95.7% from the free throw line. 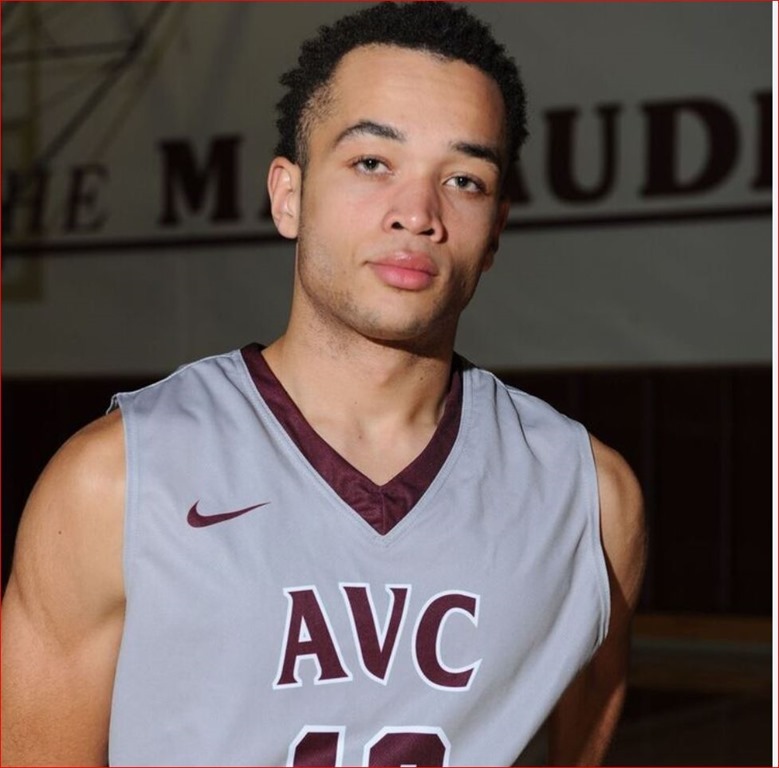 The home crowd roared when the Cory came into the game as the 6th ma n.
Cory arrived at AVC very late in the summer of the 2014-15 from Inglewood HS and was behind the sophomore dominated team at AVC in system knowledge and physicality. Even with all of his potential, Cory and the AVC coaching staff decided to have him red-shirt. Although Cory had the grades to move directly to the University level, he missed on his SAT score. His goal was to play D-1 ball and get a scholarship and ultimately play at highest level possible. It turned out to be a great red-shirt year for Cory Dollarhide. He took his academics seriously. Cory never missed a practice. He gained 15 pounds of muscle in the weight room. Very bright young man who has learned the AVC system. Finally, a deadly long range shooter, a much improved defender and ball-handler, an “Inglewood” tough guy and a quiet leader. Expect great things from Cory in his sophomore year. Currently Cory is a Communications major, and after his basketball career ends, he would like to be a sportscaster. You could tell that Cory was excited to show his stuff at the Las Vegas Invitational Elite 80 JUCO Tournament last weekend. In his first game he dropped 4 straight three balls and finished the game with 15 points and 5 assists. He had a solid three games and got some great looks, he played the point guard which he handled well but took away from this strength which is the shooting guard position. Great weekend. Cory Dollarhide was named the team captain for the 2016-17 season for Antelope Valley College. Leadership, academics and outstanding basketball skills has put Cory into this role. Cory had a great spring/summer at the Las Vegas Invitational where he started out his first game at the point guard with four straight three-balls. Add to that a solid eight games in the summer and fall shootouts where he led AVC to a 7-1 record. Everyone knows that Cory is one of the top three point shooters in Cal JUCO but now, he has added an intensive defense that uses every ounce of his speed and knowledge to show his team that both sides of the floor are equally important to get playing time and wins. Expect the AVC fans to stand up and cheer again this year for Cory but not only for his scoring but for his leadership and defense as well.